An altered microbe with an "unnatural" genetic code has been shown to assemble proteins - a key step towards designing new drugs and materials. Scientists modified the bacterium's DNA to incorporate six "letters" rather than the four found in nature. 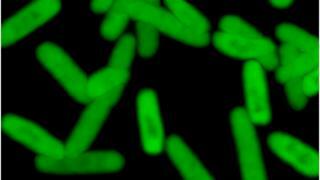 They previously found the E. coli bug could hold on to the synthetic code but was slow to grow. And it had been unclear whether the lifeforms could be used to encode proteins like normal DNA. The blueprint for all forms of life on Earth is written in a code consisting of four "letters": A, T, C and G, which pair up in the DNA double helix. The lab organism has been modified to use an additional two, giving it a genetic code of six letters. Transcription and translation are key steps in the process by which cells use the instructions in the genetic code to manufacture proteins - the vital functional molecules in biology. Writing in Nature journal, Floyd Romesberg from The Scripps Research Institute in La Jolla, US, and colleagues, show that the bacterium can both transcribe and translate tinkered-with biological building blocks. It resulted in proteins containing "unnatural" constituents (amino acids) and occurred with no loss of efficiency compared with natural protein synthesis. Organisms that can produce proteins not found in nature could be incredibly useful. They could form the basis of new treatments for disease, as well as new types of plastic - and other novel materials.